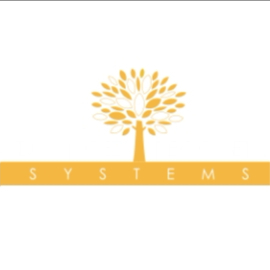 Advanced Recovery Systems (ARS) is known throughout the behavioral health care industry for our high standards of treatment, comprehensive care methods and transparent partner practices. But we can’t provide this care alone — we also rely on the expertise of clinicians from across the country to help ensure that our clients continue their recovery long after treatment has ended. ARS makes the referral process easy by helping clinicians find clients who can best benefit from their clinical specialities. With individualized rehabilitation plans that address co-occurring disorders and other mental health concerns, ARS also helps clinicians connect pre-existing clients to care they can count on. Clinicians want what’s best for their clients, and so do we. By focusing on providing a full continuum of patient-centered care from detox to discharge, we help clients heal while staying in contact with their primary clinician. Opportunities for updates are available during treatment, so clinicians can stay on top of their clients’ progress and help them successfully transition to life outside of rehab. The value of a committed clinician can’t be underestimated in the days, weeks, months and even years after drug or alcohol treatment. At ARS, our goal is to facilitate recovery while allowing clinicians across the country to do what they do best: help clients heal. If you’re searching for a way to bring new patients to your practice, ARS can connect you with clients who could benefit from your expertise. Through our clinician referral program, our representatives help health care providers like you update your professional profiles and connect with clients, so you can guide and support them through the lifelong work of recovery. At ARS, we know that substance use disorder is a complex disease. Because the factors contributing to substance use disorder are unique, we create care plans that address each client’s specific needs. With high clinician-to-client ratios, we ensure that each patient gets the comprehensive care and support they need to thrive in recovery. Even if one of our centers cannot address a client’s situation, we are committed to connecting them to outside care that meets their needs. With centers conveniently located across the country, ARS provides personalized care plans to clients looking for treatment in the South, Midwest, Southwest or Pacific Northwest. Because many clients travel to our facilities for care, our clinician referrals extend to most cities in the United States. While each center is unique in its own right, all ARS facilities are united by their high standards of care and commitment to excellence. Our facilities serve several different communities, with unique programs for adults, teens and even fire fighters. The IAFF Center of Excellence, in particular, is dually licensed in behavioral health care and substance use disorder to address the mental health challenges that are unique to fire fighters and paramedics. Check your client’s insurance coverage to locate the best treatment option for them. Advanced Recovery Systems’ community outreach team is dedicated to helping you do the work you love and empowering your clients with quality care. Reach out to one of our representatives today, or call (855) 385-5844 for more information about our treatment options.